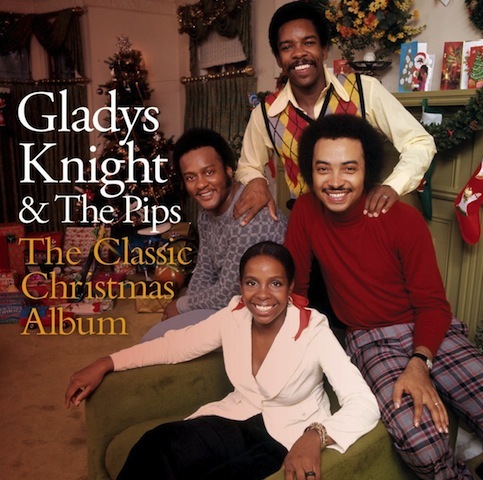 Alternately earnest and spirited, and exceedingly well produced, the Classic Christmas Album entry from Gladys Knight & The Pips plays it a bit safer than most of the albums in this series but it has moments, more than a few, to remember. The material is drawn from the group’s two seasonal albums, 1975’s The Christmas Album (released on the Buddah label) and 1982’s That Special Time of Year (released on Epic and produced by Jack Gold, who did exemplary work on Barbra Streisand’s 1967 multi-platinum gem, A Christmas Album). The group was several years past its great “Midnight Train to Georgia” era but remained a solid mainstream R&B attraction with great crossover appeal, with Gladys and her brother Bubba, the most dynamic of the Pips, winning audiences over with their great onstage rapport. They co-produced the Buddah Christmas album and did a nice job working with producer/arranger/conductor Tony Camillo. Their version of “Do You Hear What I Hear?” opens the Classic album on a solemn note behind Gladys’s impassioned but affectingly textured reading and a slinky R&B groove underpinning the otherwise reverent treatment. A similar approach, more lighthearted, informs Bubba’s tender reading of “The Christmas Song (Chestnuts Roasting on an Open Fire)”—he’s no Nat King Cole but, to cop a sports metaphor, he plays within himself and keeps it cool and understated until Gladys comes in with a grittier, bluesier vocal to make this one of this album’s most memorable cuts. With Jack Gold at the helm on 1982’s That Special Time of Year, the approach incorporates disco elements and soulful pop-R&B balladry. As for the former, a percolating take complete with strings and a scratchy guitar along the way brings a fresh feel to “Jingle Bells” (although its get-down rhythm and orchestral soundscape seem deeply indebted to the Salsoul Orchestra, which had advanced similar arrangements on its terrific 1976 Yule long player, Christmas Jollies) and is especially catchy on “That Special Time of Year,” thanks to a frisky but romantic Gene Page arrangement. The quiet storms are exemplified by uplifting, hopeful sentiments of “It’s the Happiest Time of the Year,” a Larry Farrow arrangement of a song he co-wrote that brings out the most sensitive and dramatic side of Gladys’s way with a heartfelt, idealistic lyric. Still grooving, albeit in a softer mode, the group stays close to Donny Hathaway’s catchy arrangement of his classic “This Christmas,” which features a tasty trumpet solo at about the midpoint. Their version of Frank Loesser’s evergreen “What Are You Doing New Year’s Eve?” is most effective when it begins spare, reflective and a bit moody, almost like a torch ballad, before losing some of its captivating quality when strings and horns enter the picture. Gladys Knight & The Pips, ‘Bless This House,’ arranged by Dominic Frontiere. A couple of tunes from The Christmas Album steal the show. Gladys gives it up mightily on “Silent Night,” channeling a smidgen of Mahalia Jackson in her muscular, emotional vocal over a lush but empathetic arrangement, which is also the case with “Bless This House,” with its gospel-fueled lead vocal by Gladys imparting the lyrics’ prayerful sentiments with gripping conviction—this is one of the most impassioned vocals of her career, and it’s supported by a majestic, horn-saturated orchestral arrangement courtesy Dominic Frontiere. These come back-to-back and set up the album’s closing number, a booming production of “The Lord’s Prayer,” in which Johnny Mathis joins as Gladys’s duet partner and the two singers reach for the heavens with their soaring vocals. It’s a big finish—all three songs—to a pleasant outing replete with the occasional riveting moment to remind us of how moving Gladys Knight can be when the spirit really grabs hold of her.